On Monday 15th of September, we welcomed two experts on water studies to our school. They traveled all the way from Co. Cork. First they held a workshop for Third, Fourth, Fifth and Sixth Classes. Pollution affects river life and causes less diversity. After a quick snack, we put on our wellies and hi-viz jackets. We lined up with our partners and walked along the footpath towards the village. Our teacher took a group photo at Tullyree. The weather was beautiful, not a cloud in the blue sky overhead. At last we reached the Leslie Estate. We passed the restaurant and entered the Wetland. Here the waste water from the village is cleaned as it flows through a series of ponds. Jessica and Stephanie were waiting for us at a shallow crossing in the river. We were divided into two groups. 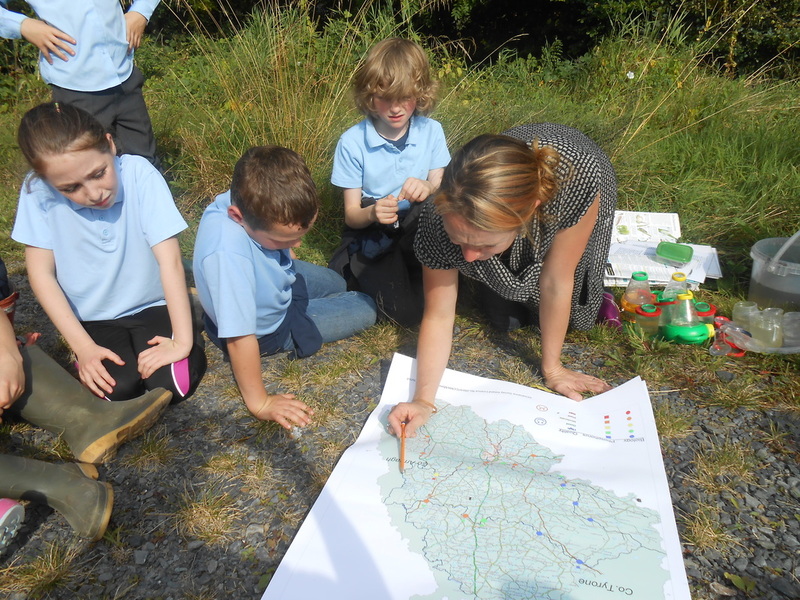 Firstly, third and fourth examined a map of Co. Monaghan rivers, lakes and streams. Next we examined water samples taken from the river identification keys. We identified fresh water shrimp and the mayfly. Soon it was our turn to wade into the river. 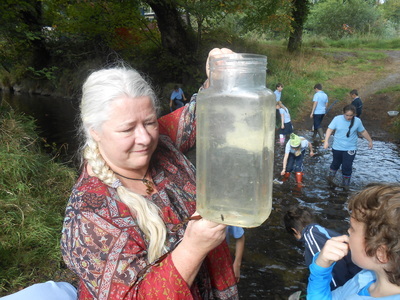 We dragged nets along the river bed and under rocks to find creatures living in the water. Then we emptied the nets into the buckets. Some of us got wet feet but we didn’t mind because we were having so much fun. Cormac found a water boatman and Kayla found a little fish called a gudgeon. We had to stand aside and make room for a group of pony trekkers coming up river. It was a lovely sight. We really enjoyed the workshop and the field trip. 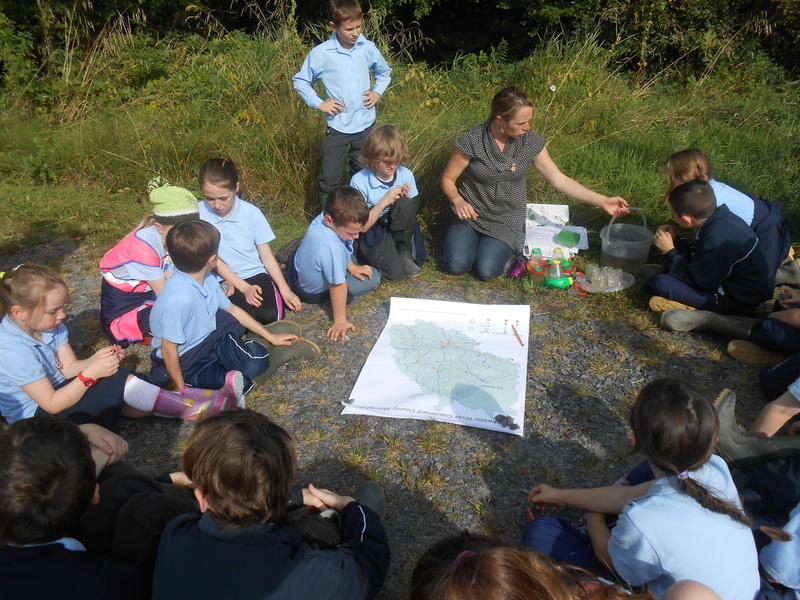 We learned a lot about biodiversity, algae bloom, invertebrates, pollution and water quality. 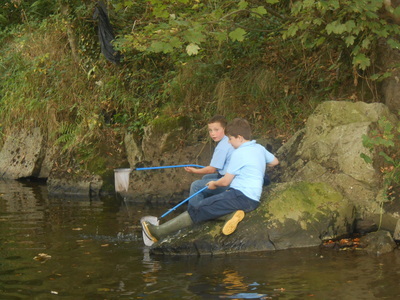 We learned how to take water samples, identify the creatures living in this habitat and assess the water quality. We realise that people spreading fertilisers and slurry and using detergents and bleach can pollute our rivers and reduce biodiversity. We thank Niall O’ Connor, Environment Officer with Monaghan Co. Council and our teachers Mr. Macklin and Mrs Dowling for organising this event.